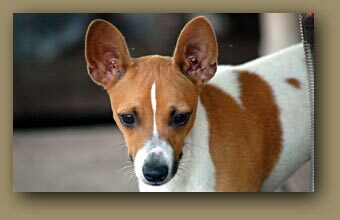 Rat Terriers are generally a hardy and long-lived breed that often lives to be 12-18 years old. They have few known health problems. 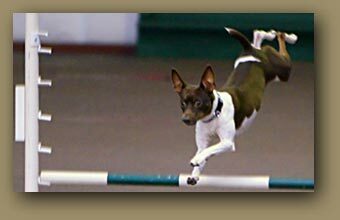 The Rat Terrier can be very loyal, active and extremely playful. Activity slows down as the dog ages, but dogs generally remain playful throughout their lives. They are highly intelligent and are generally easy to train and housebreak. Many love agility and obedience, and excel at it, as they are so eager to please their owners and are very quick. They are perfectly content to be near their owner and make great housedogs. They are not generally yappers or barkers, but they can be very demanding, using their paws and most are somewhat vocal, especially when ignored. They're naturally "real talkers" with plenty of grumbling and mumbling! The Rat Terrier is not a sparring or dog aggressive breed and a well-adjusted dog may actually find itself in trouble for being "too friendly".another dog later on will help to reduce pack order aggression and alleviate alpha dominance between dogs in your home. Rat Terriers are generally happy-go-lucky, but they are good watchdogs and these territorial (pack rats) will defend "their" property and yours. (Most love their toys and chewies, and will hoard them.) They are also intuitive, instinctive hunters with strong pack and prey instincts. If you raise Rat Terriers with a cat, parrot/avian or other animals in a multiple pet situation, they will likely see them as a part of their family. 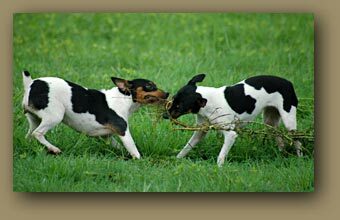 Rat Terriers generally do get along very well with other animals and dogs, and being bred as a farm dog, most livestock too. They are used to guard chicken houses in the southern and Midwest states, to homes and apartments in the cities. City, country or suburbs, farm or condo, it matters not. With their compact size (generally 10-18", 8-25"), willingness to learn, and their utter devotion to "their people", they make one of the greatest of pets and an ideal and affectionate companion. Being a short-haired breed they DO shed. Living inside the home, (heating and extended periods of light further stimulates them to shed.) They'll require a frequent brushing with a soft brush or a rubber curry mitt to remove dead hair to help alleviate shedding, which is normally heavier in the spring and fall, or after whelping or seasonal heat cycles. Both sexes make wonderful and loving pets. We encourage anyone interested in the breed to do further research. 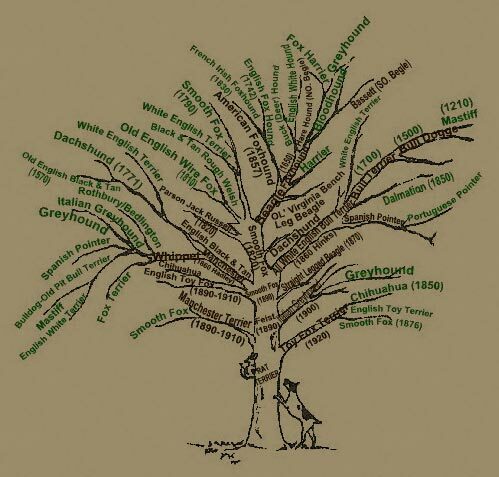 Find out all you can about the breed, ask as many question as possible. There are websites on the internet and published books about this playful and lovable breed.